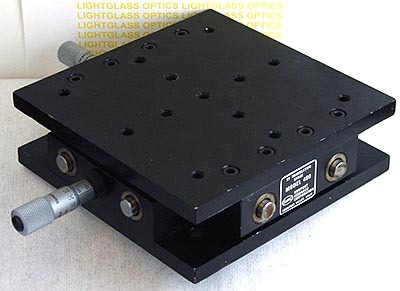 The Newport 400 X/Y Linear Translation Stage is now called the Newport Model 401 and is virtually identical. It offers 0.5 inches of movement in each direction, while carrying up to a 100 pound load on its pre-loaded ball bushing movements, yet is less than 2" tall. The Newport actuators are included.